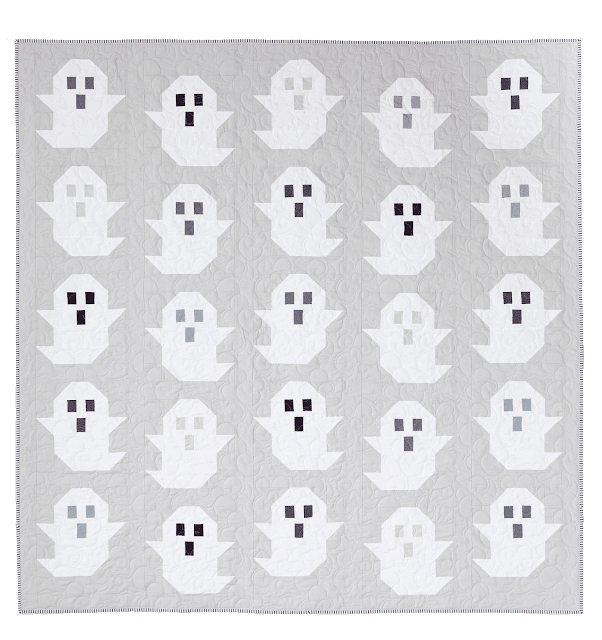 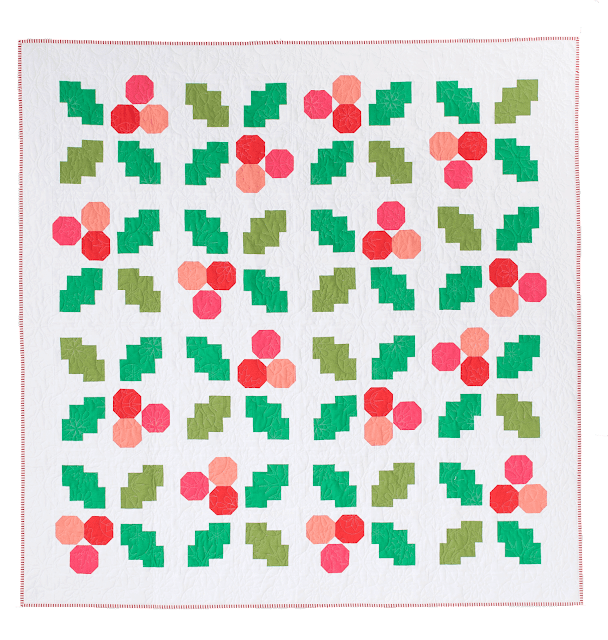 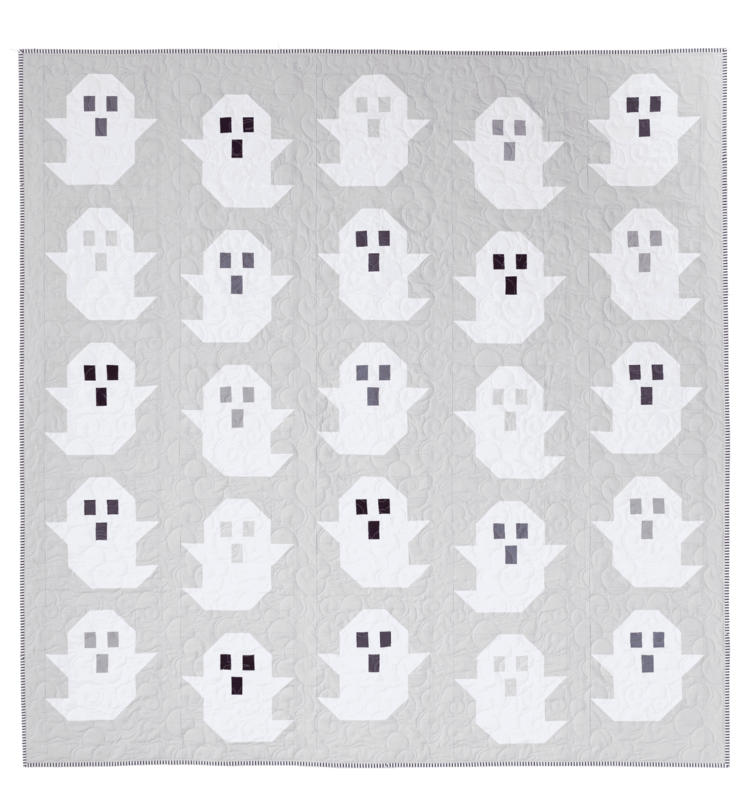 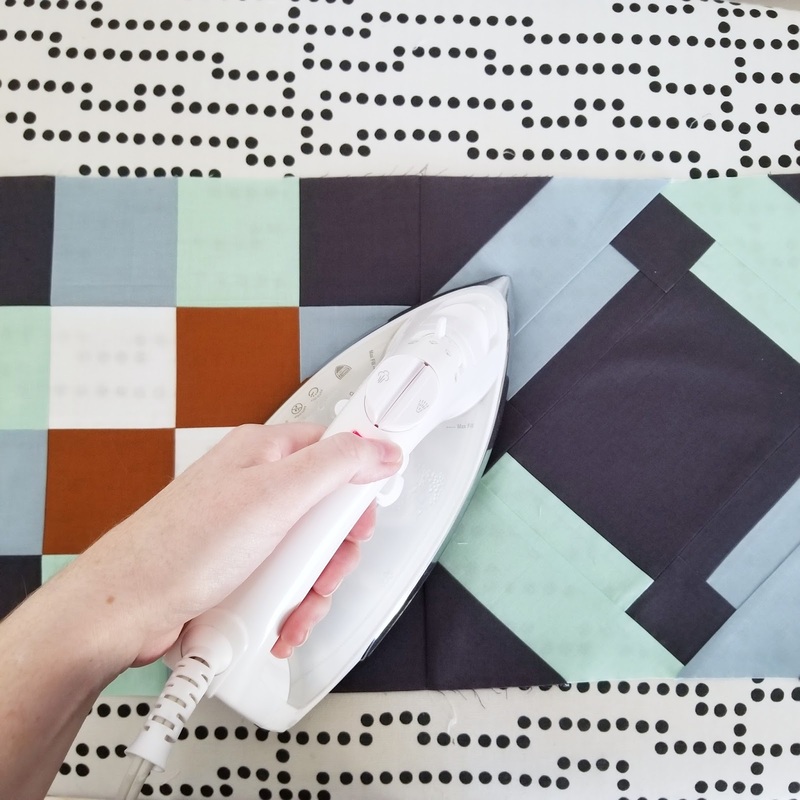 If you plan to participate in the Holly Jolly Sewalong, you'll want to start thinking about A) the look you're going for for your Holly Jolly quilt - Scrappy? 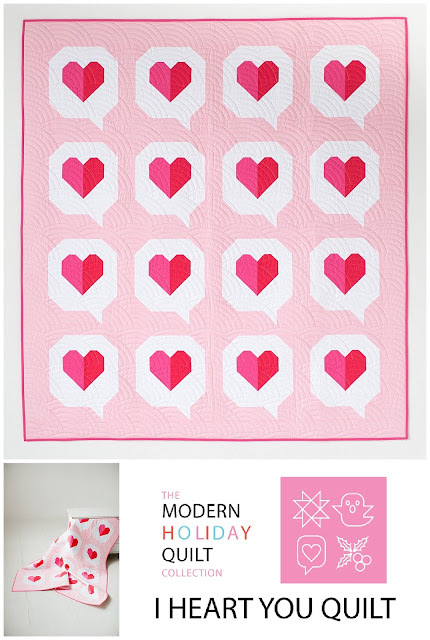 Modern? 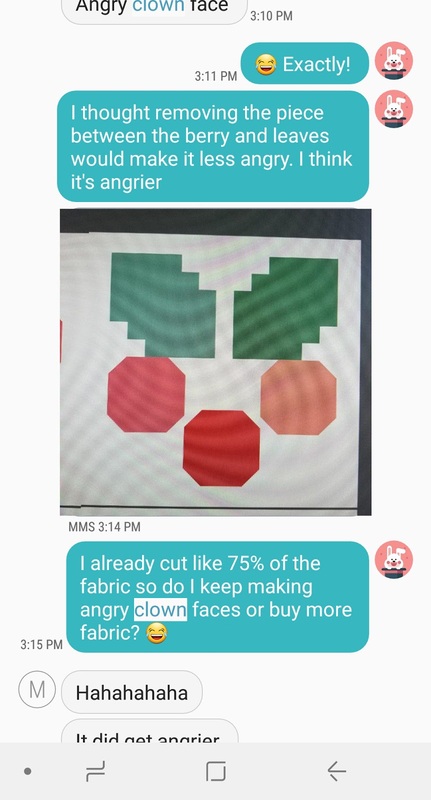 Maybe a mix of both? 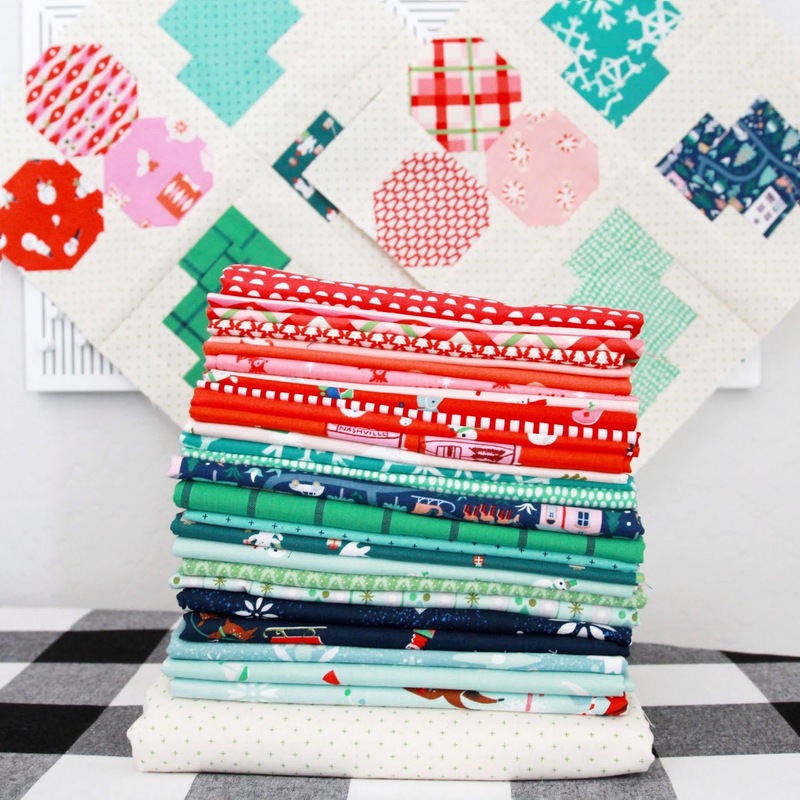 B) What color scheme and fabrics you want in your quilt in. 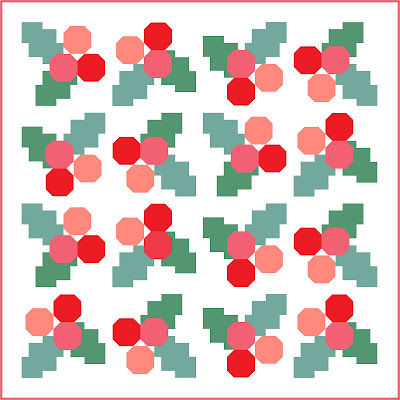 There are so many great holiday fabric collections that would work well with this pattern! Some of my favorite lines out right now are Swell and Vintage Holiday by Moda and Way Up North by Riley Blake! 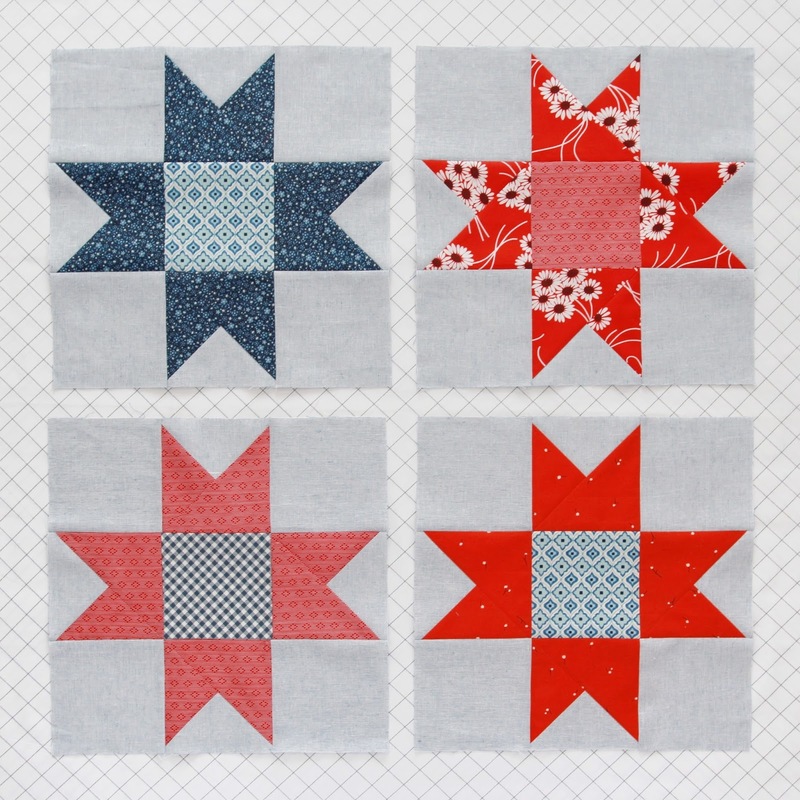 Solids would work great too, as pictured below! 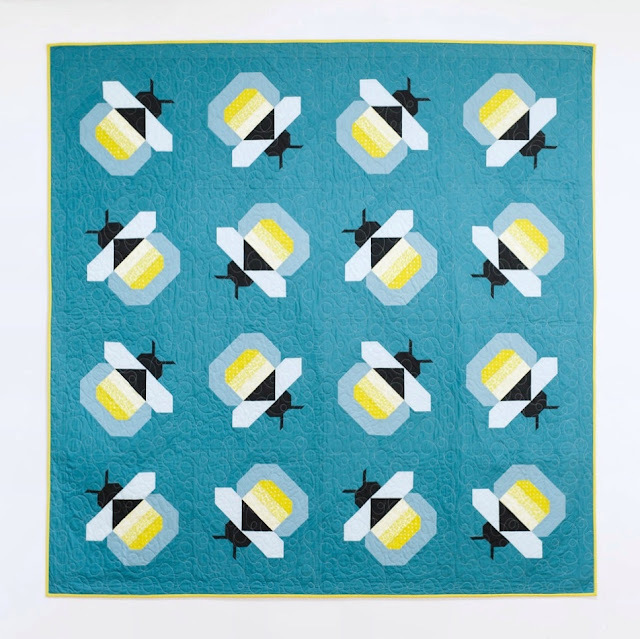 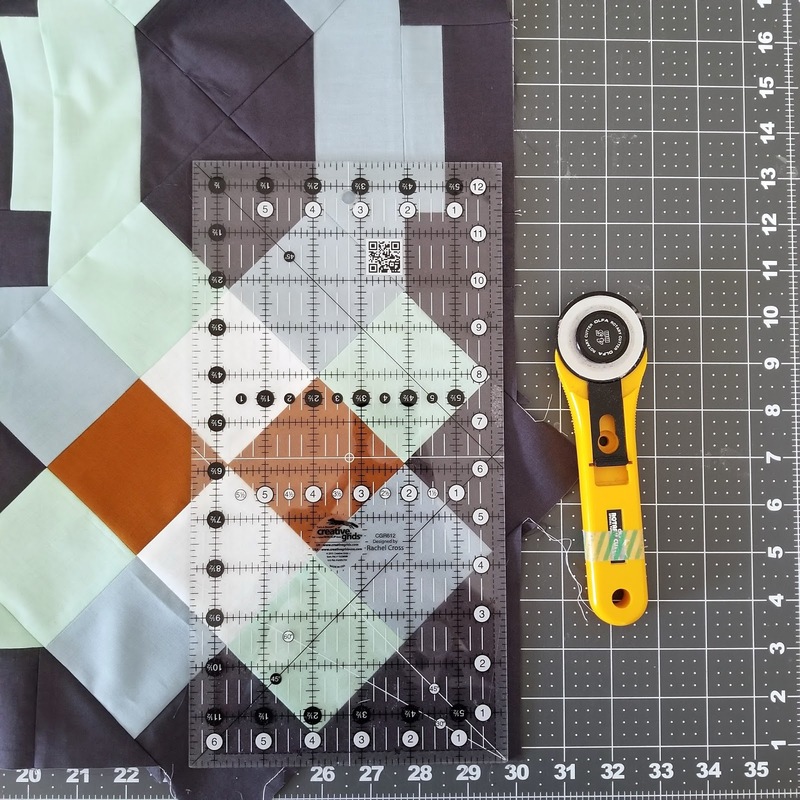 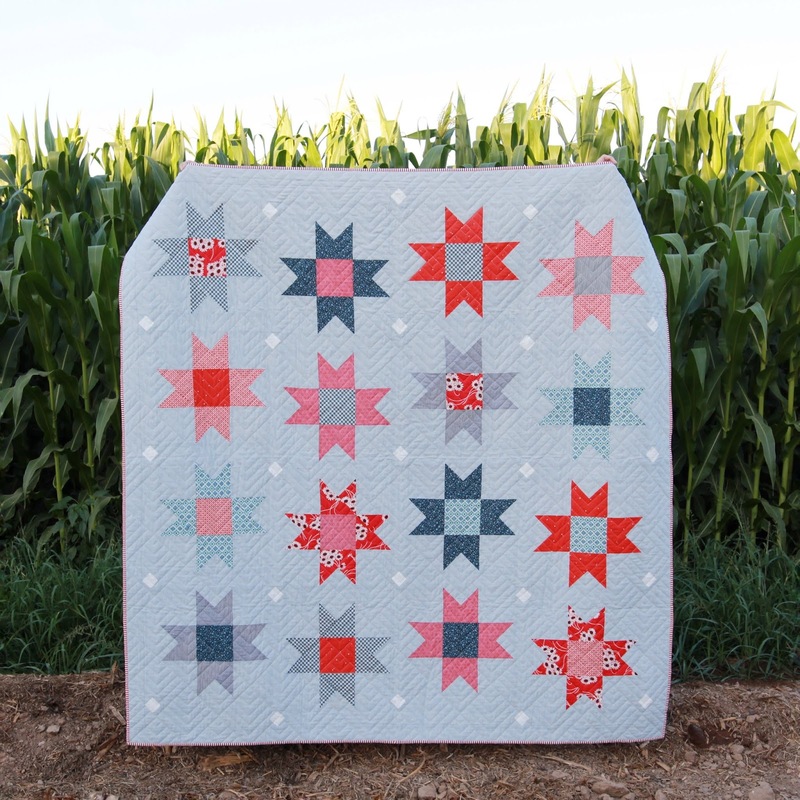 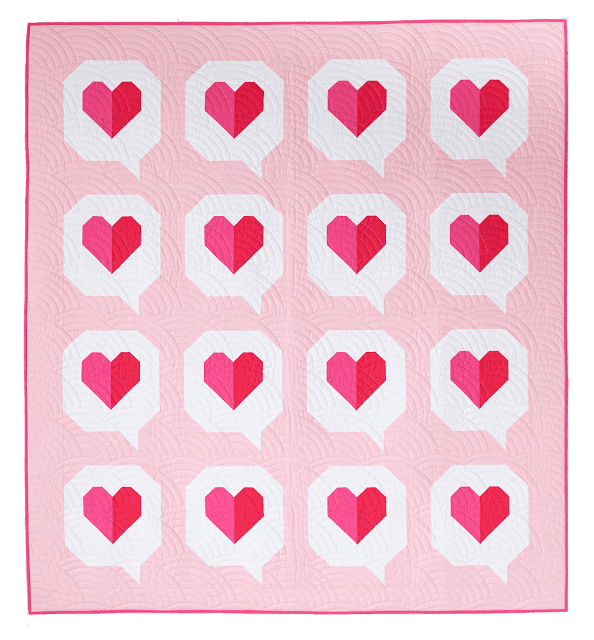 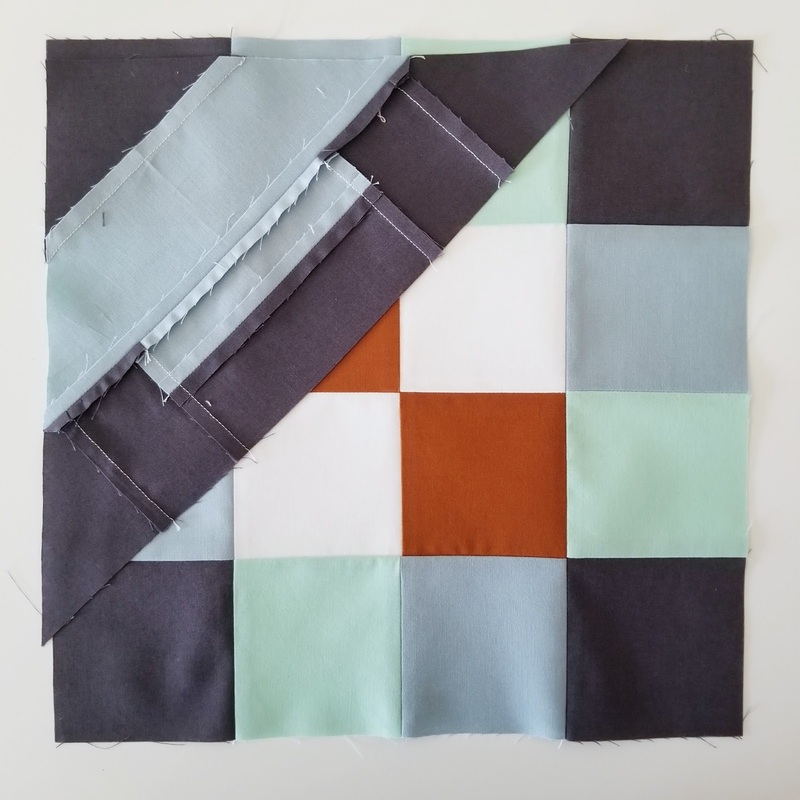 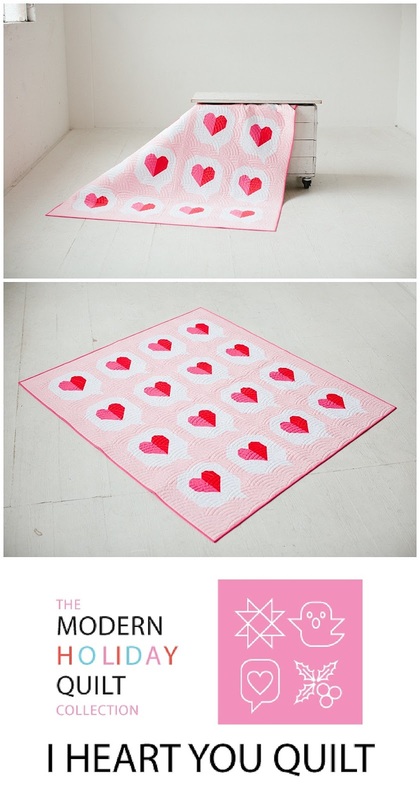 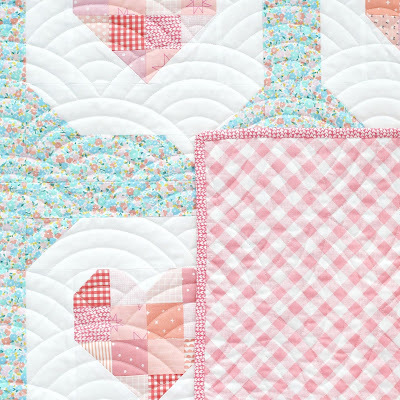 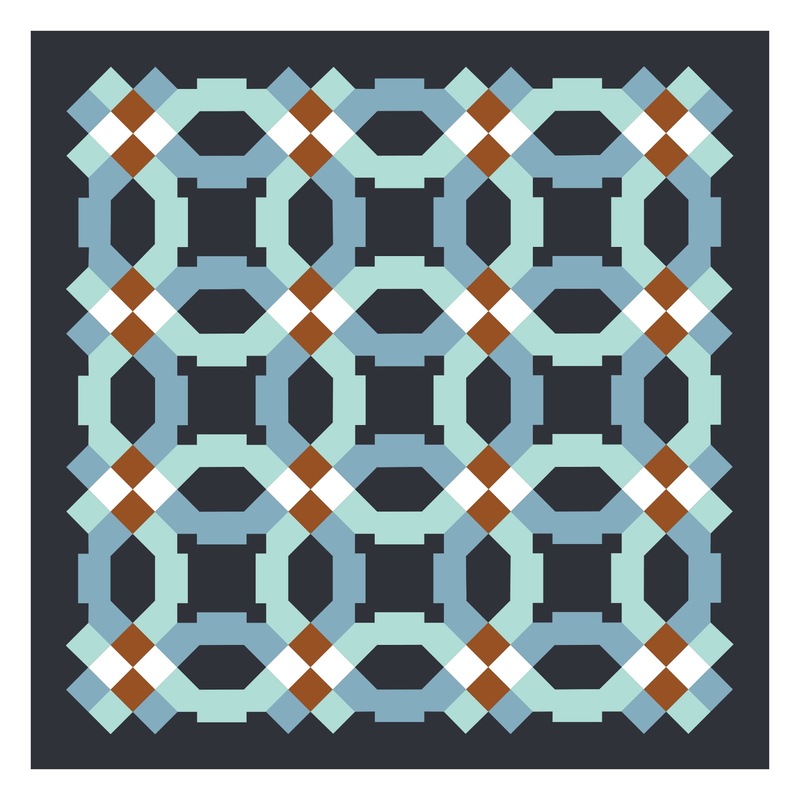 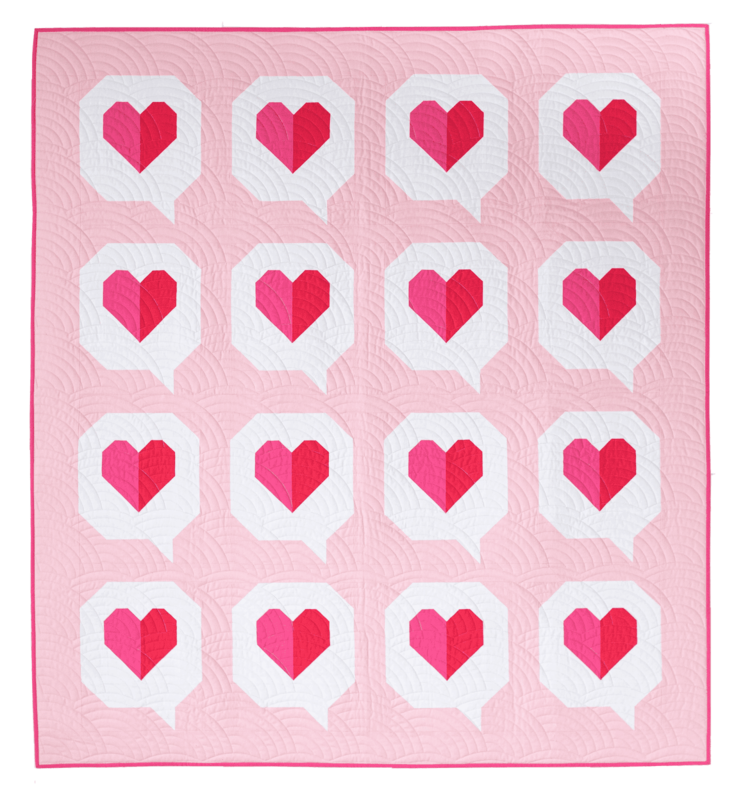 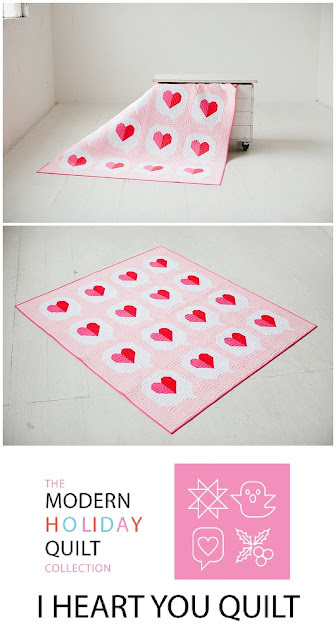 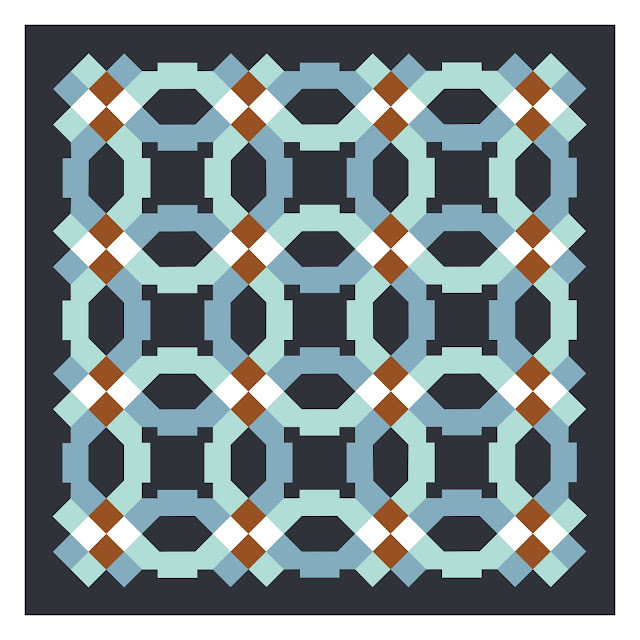 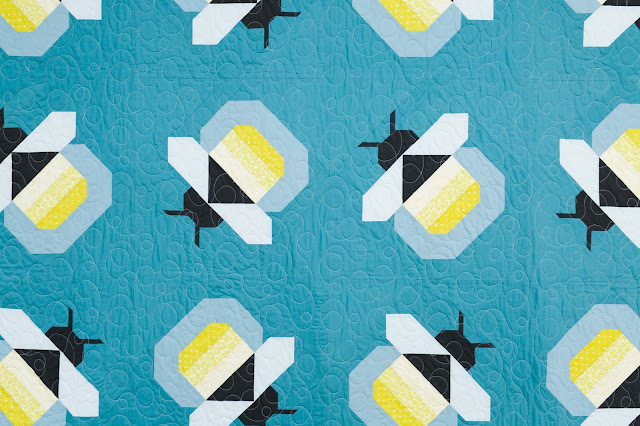 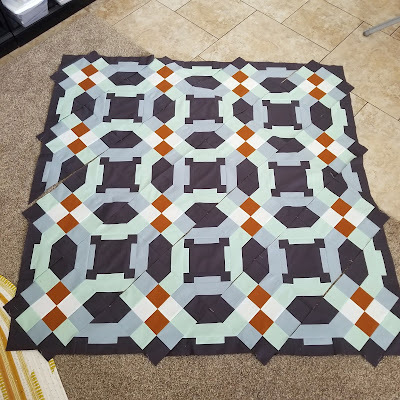 You can actually take all the guesswork out and buy a quilt kit for the solids version below from Fabric Bubb! The schedule for the sewalong is below...The first week will be spent cutting out your fabrics for the quilt! 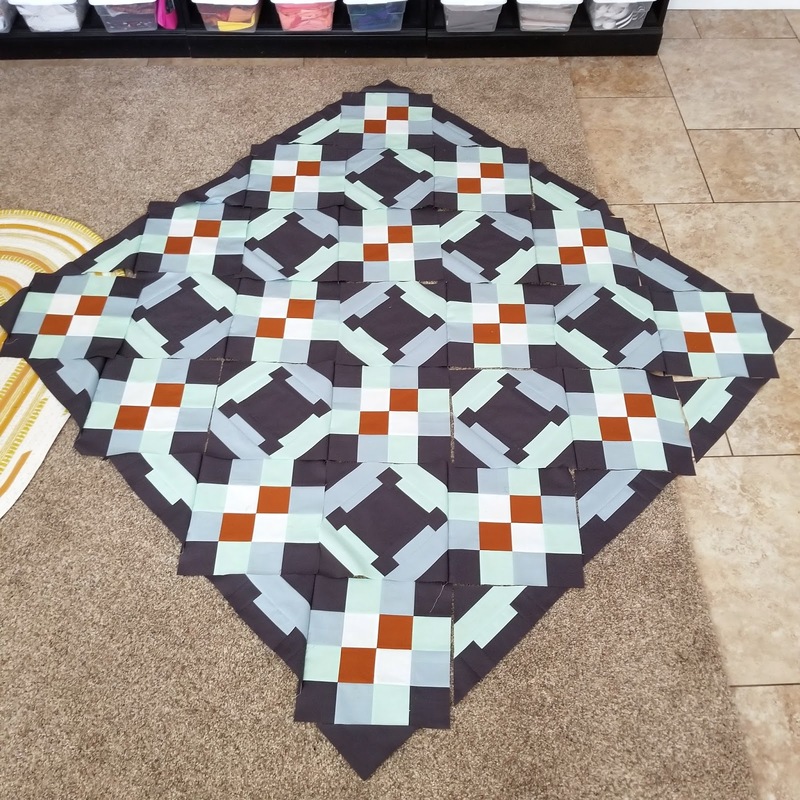 I am going completely scrappy with mine and doing each block differently (You can see my fabric pull and two of my blocks in the first photo above) so my plan is to cut for each block and then bag all the cuts for each block together so I can just pull a certain amount of bags each week and start sewing asap! 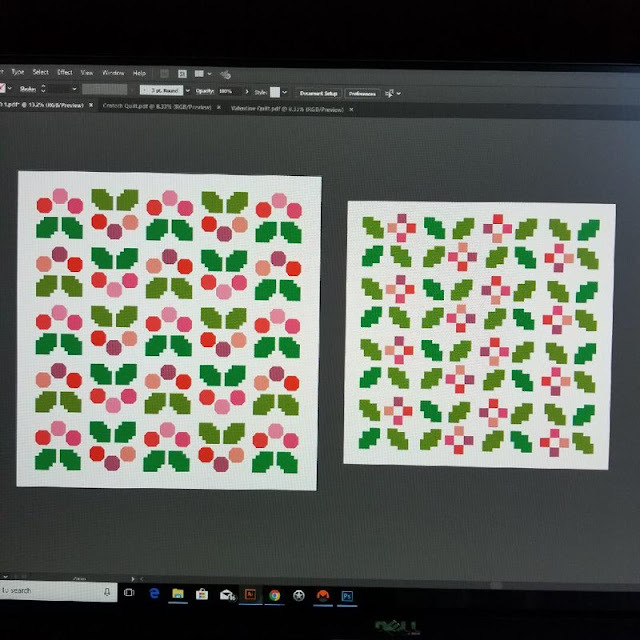 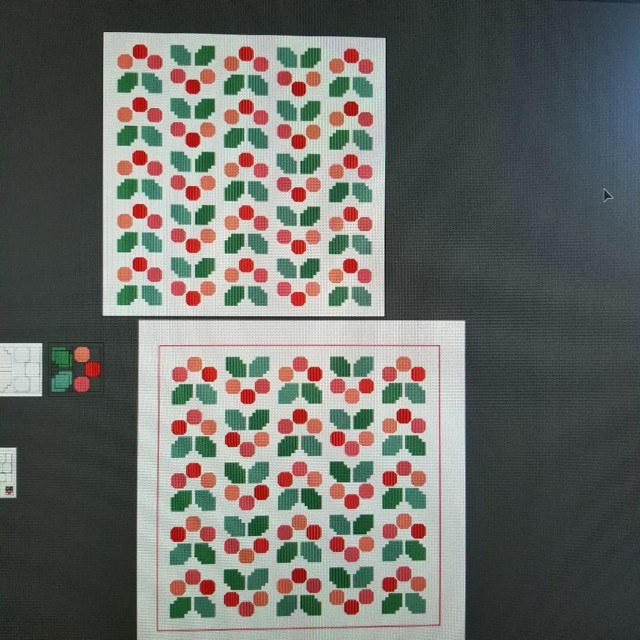 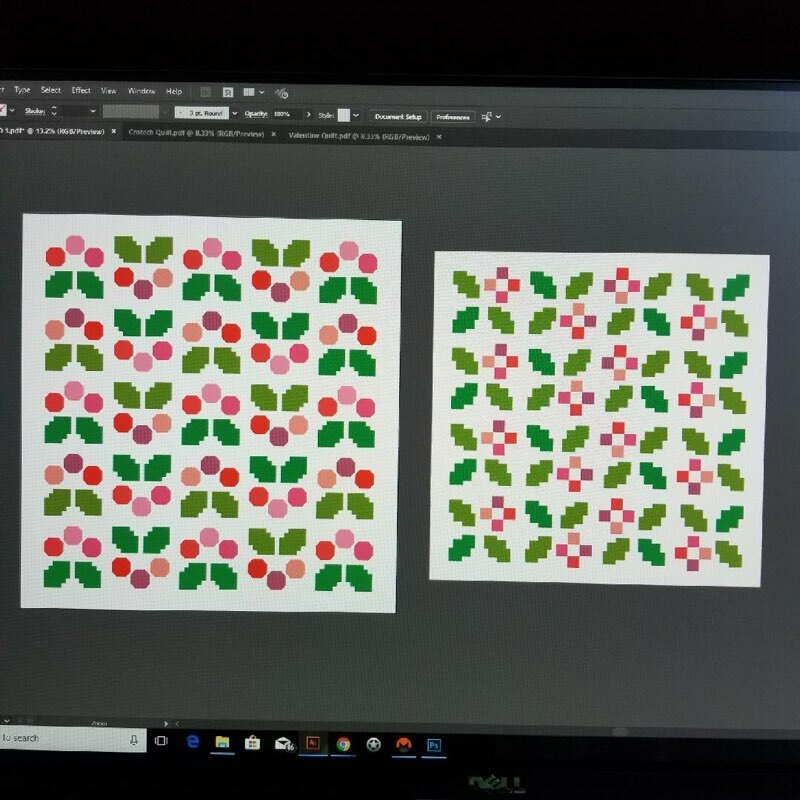 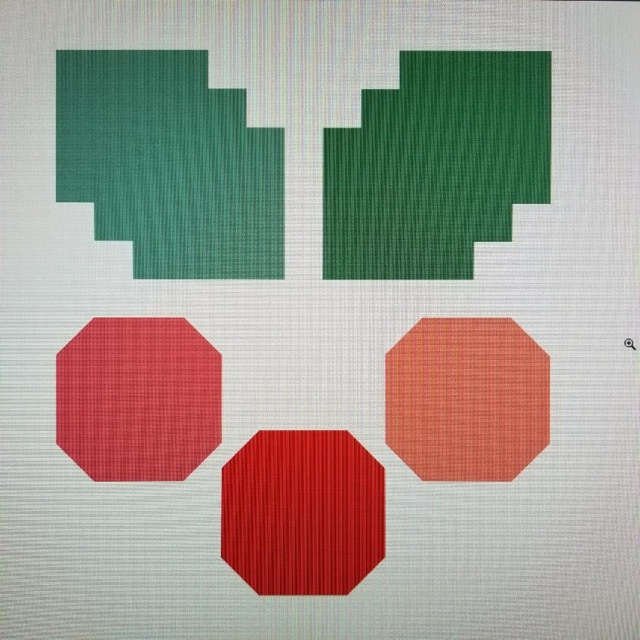 The piecing for the Holly Jolly blocks is a little more intense than the previous two sewalongs so if you don't regularly piece blocks with a lot of seams in them, I highly encourage you to watch my Piecing 101 video on Instagram (Link HERE) before you start sewing. 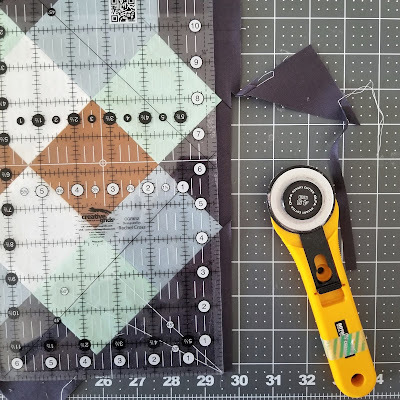 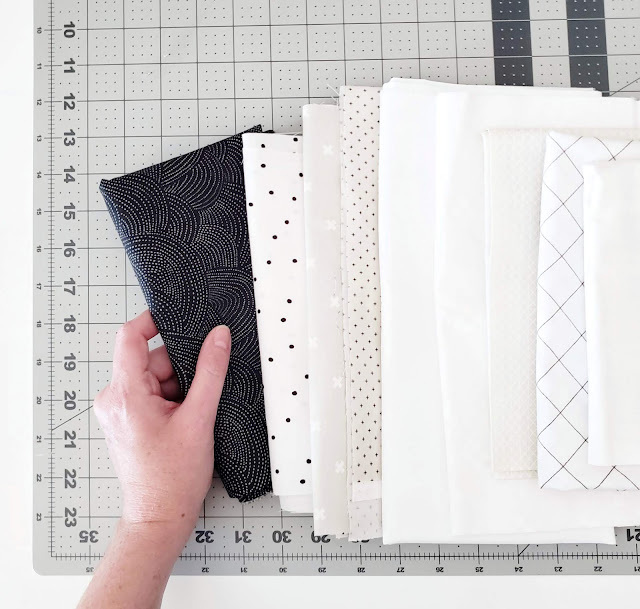 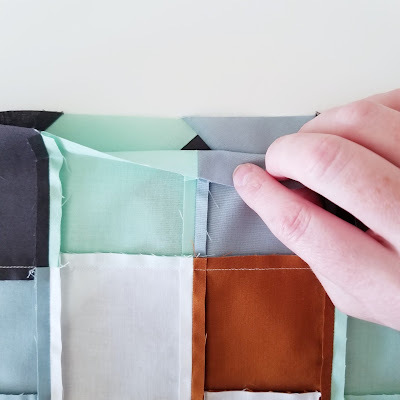 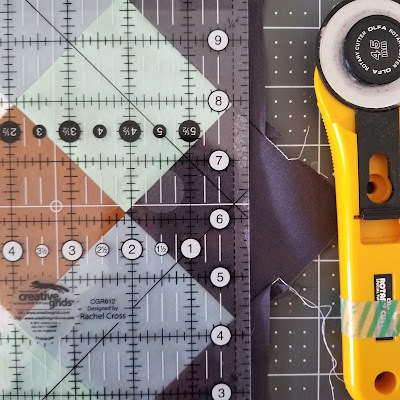 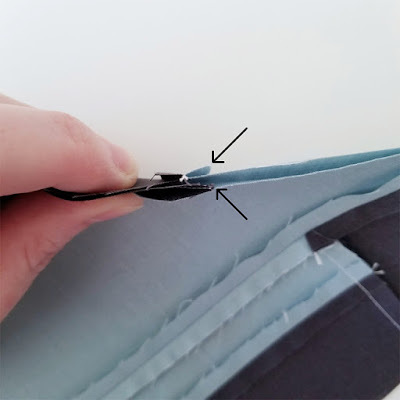 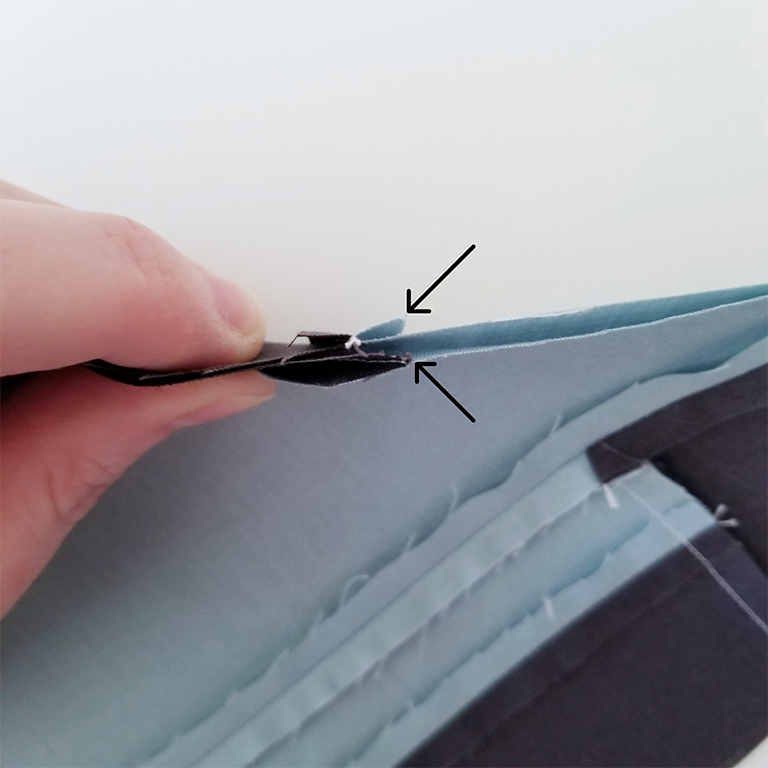 I go over how to get a perfect scant 1/4" seam allowance, piece blocks with a lot of seams and a lot of small pieces. 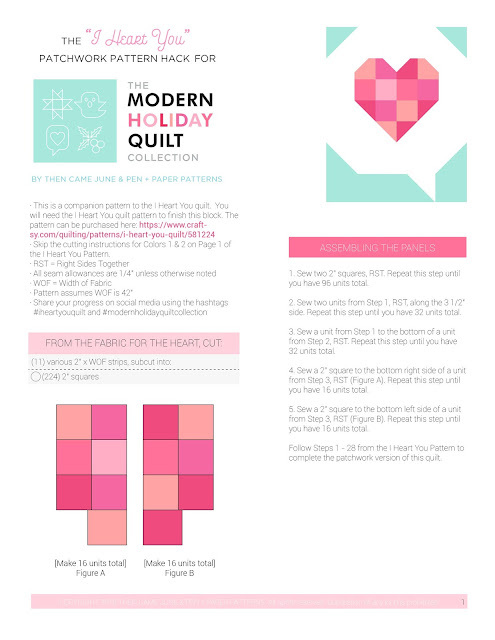 I hope you find it helpful! 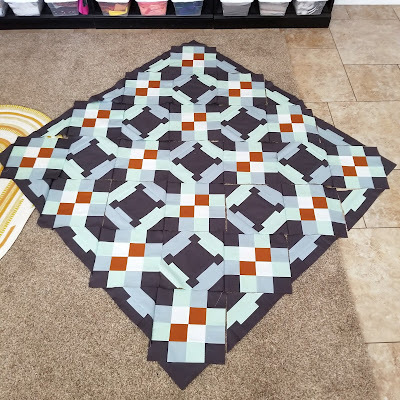 And just a reminder - there will be a prize at the end of this sewalong! 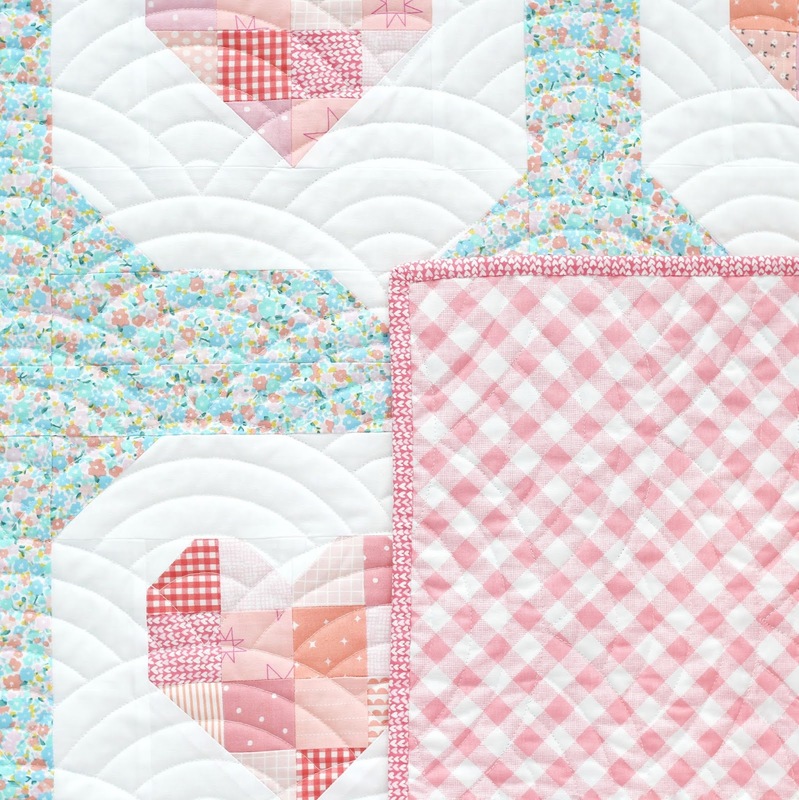 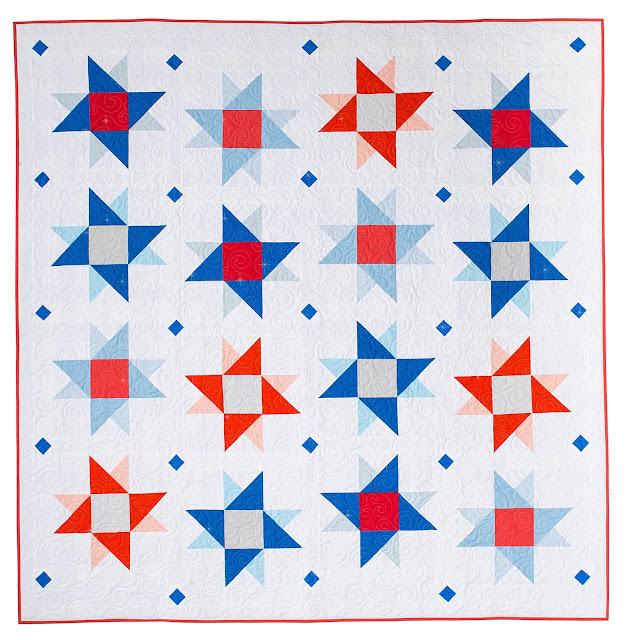 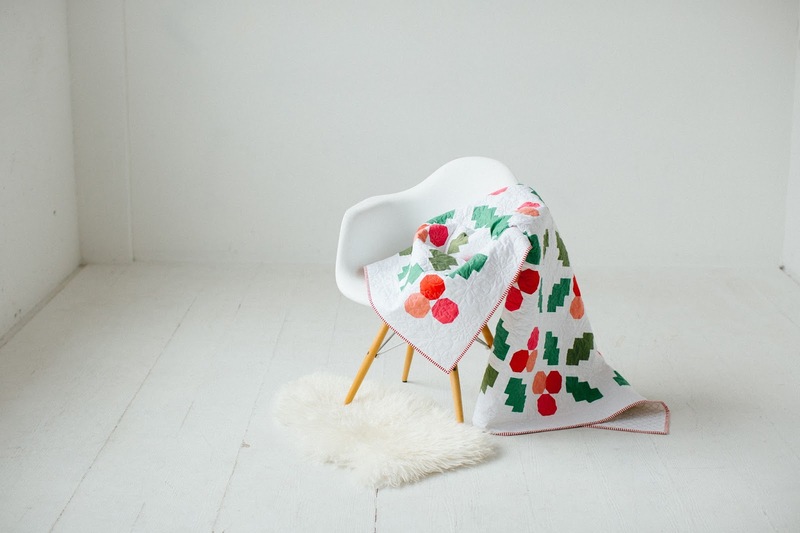 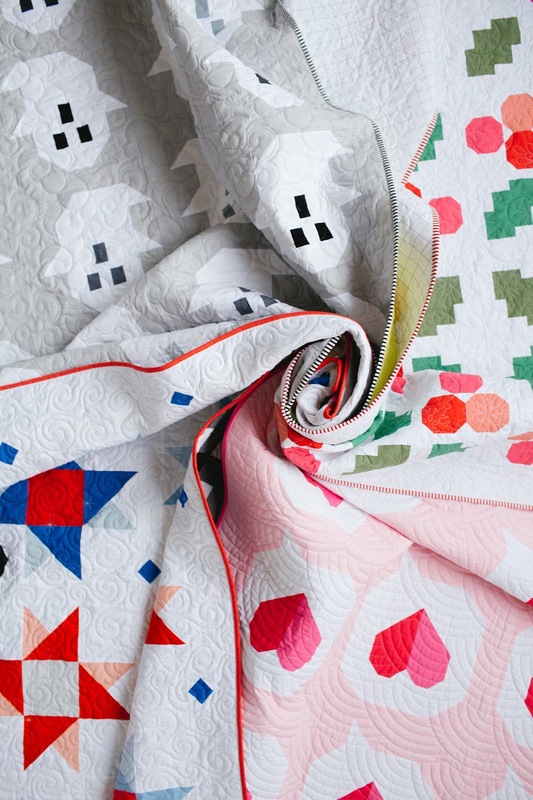 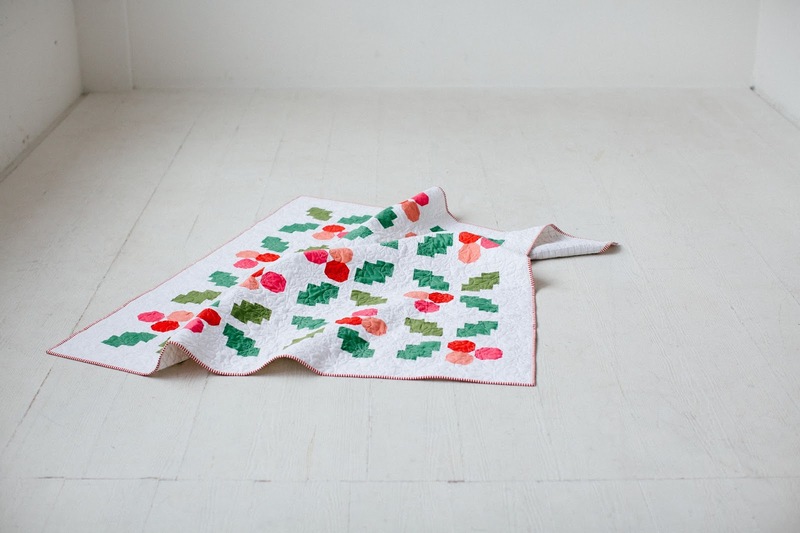 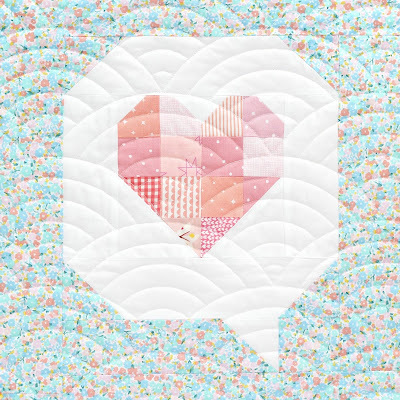 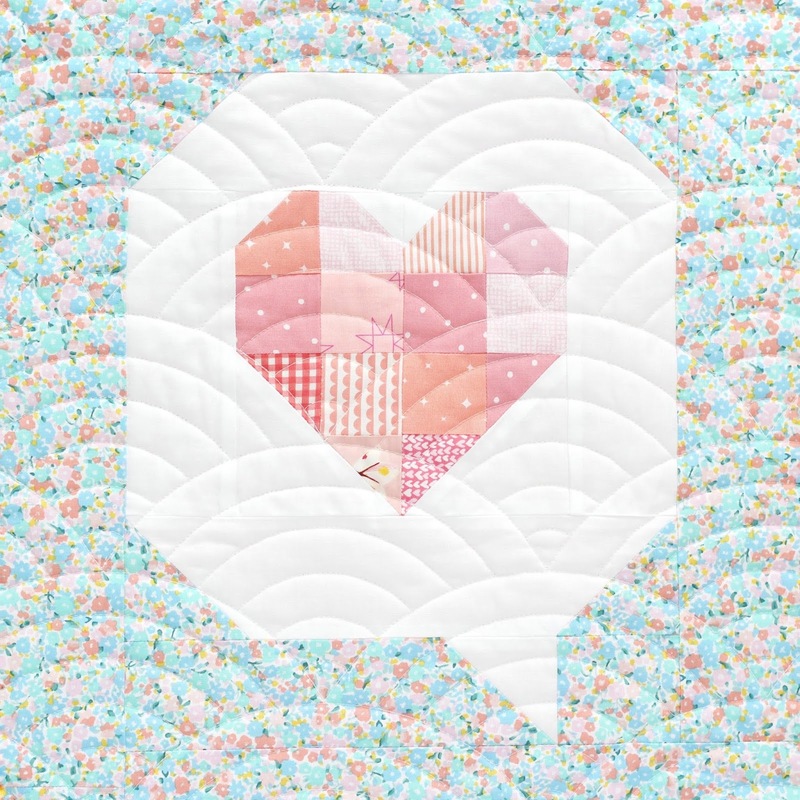 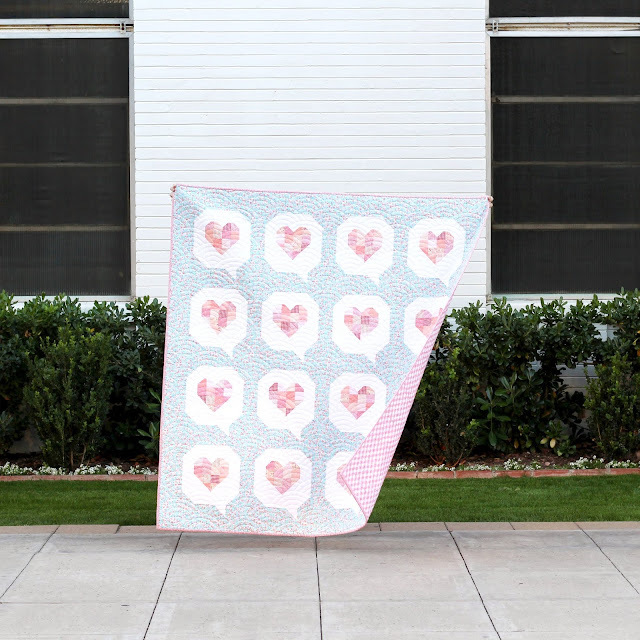 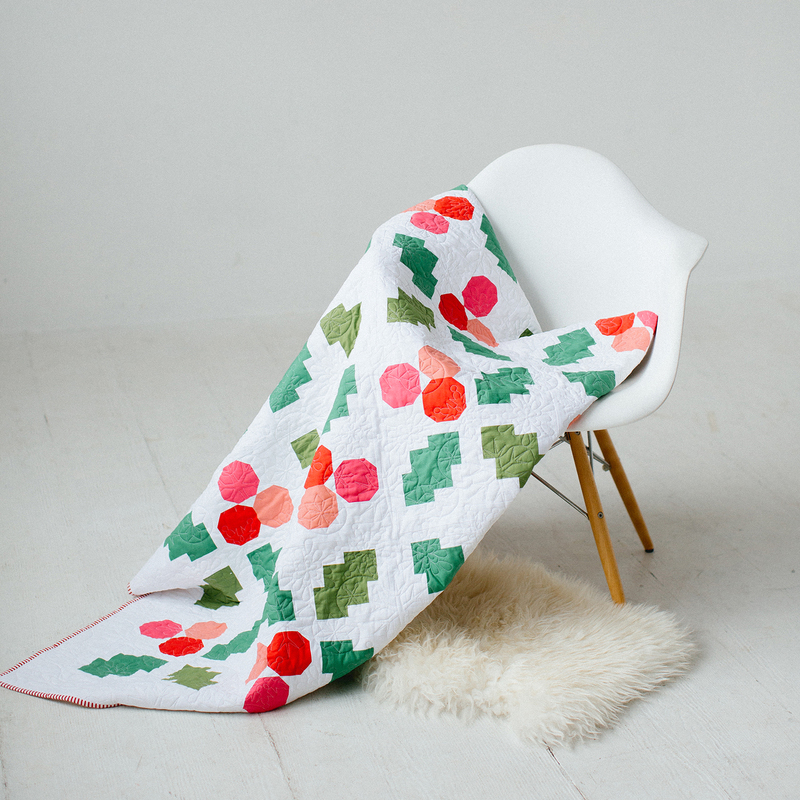 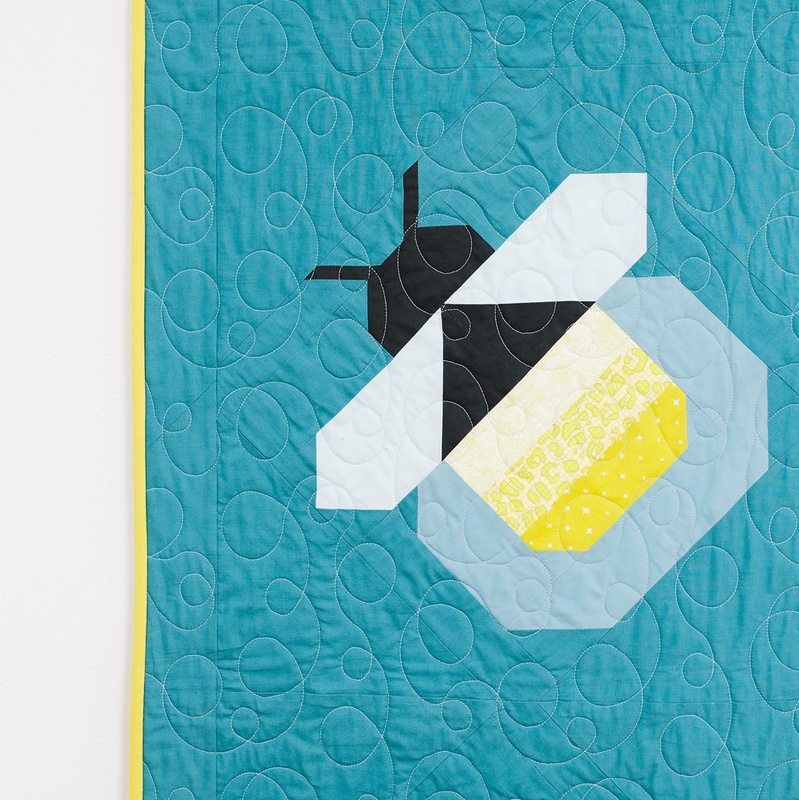 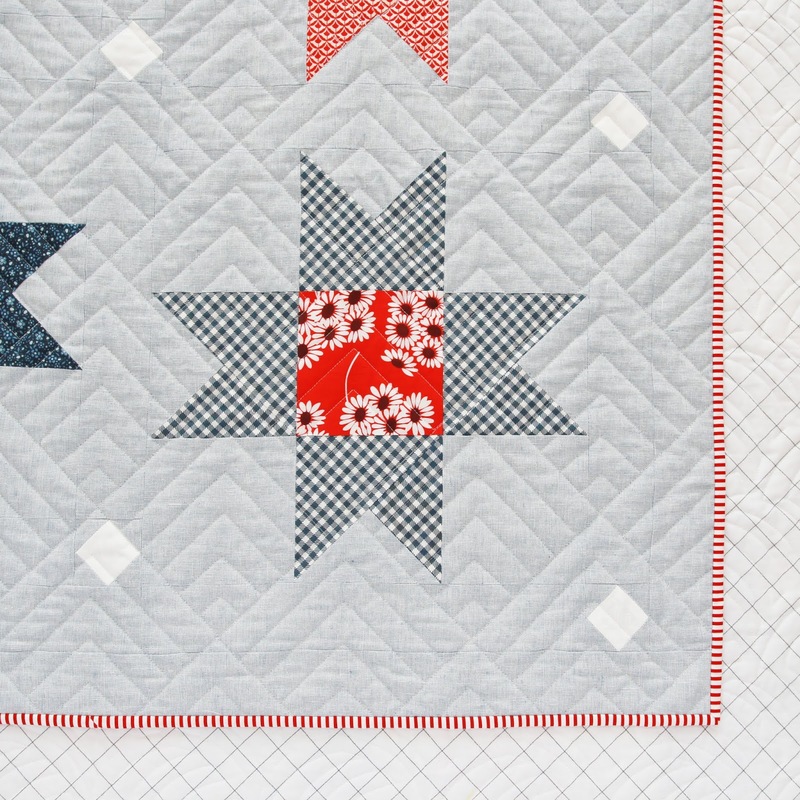 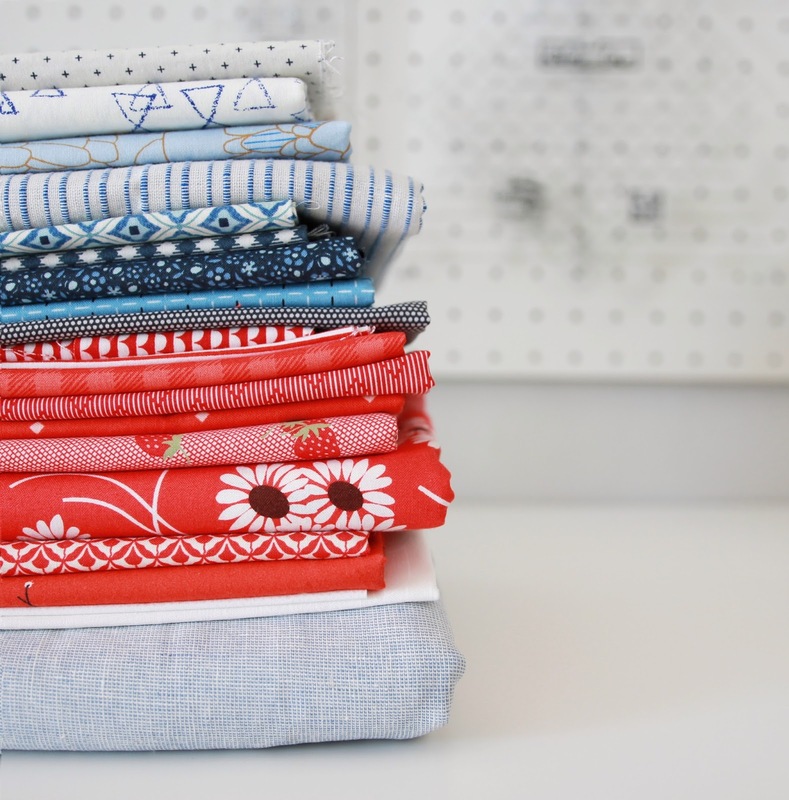 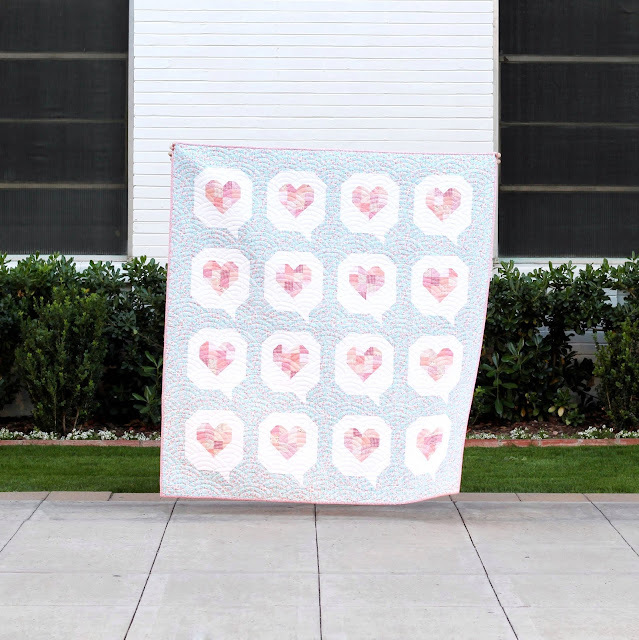 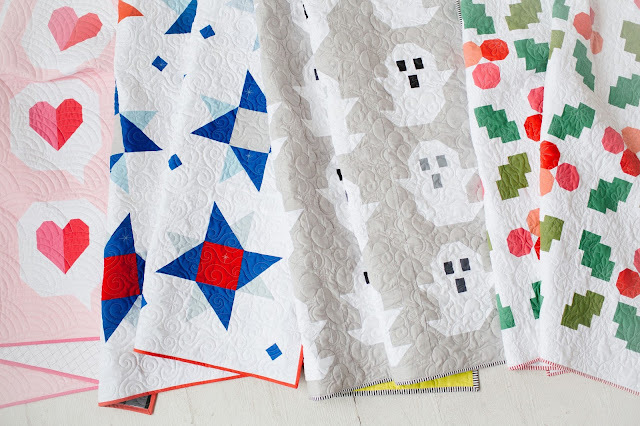 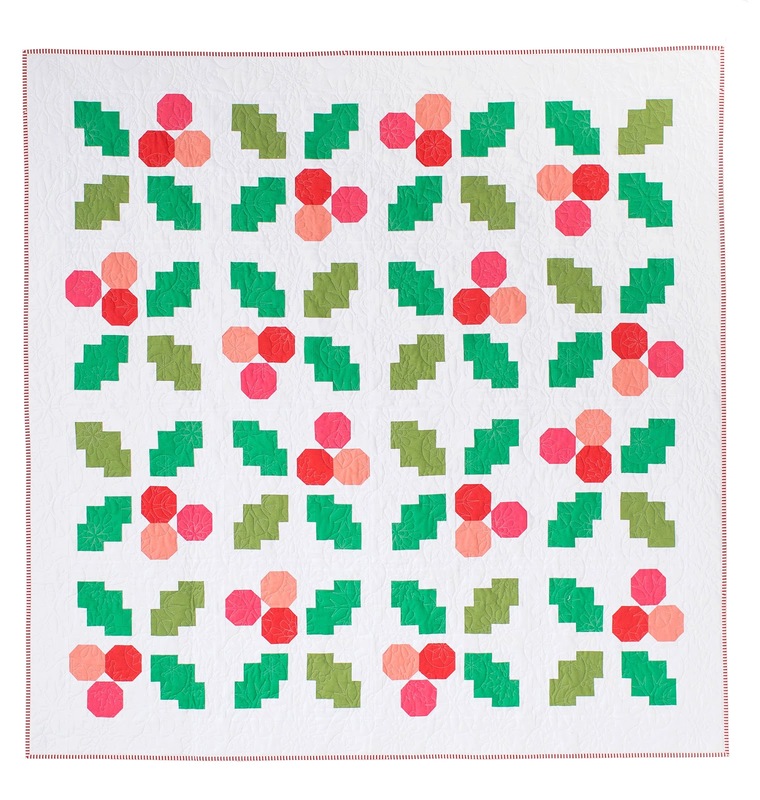 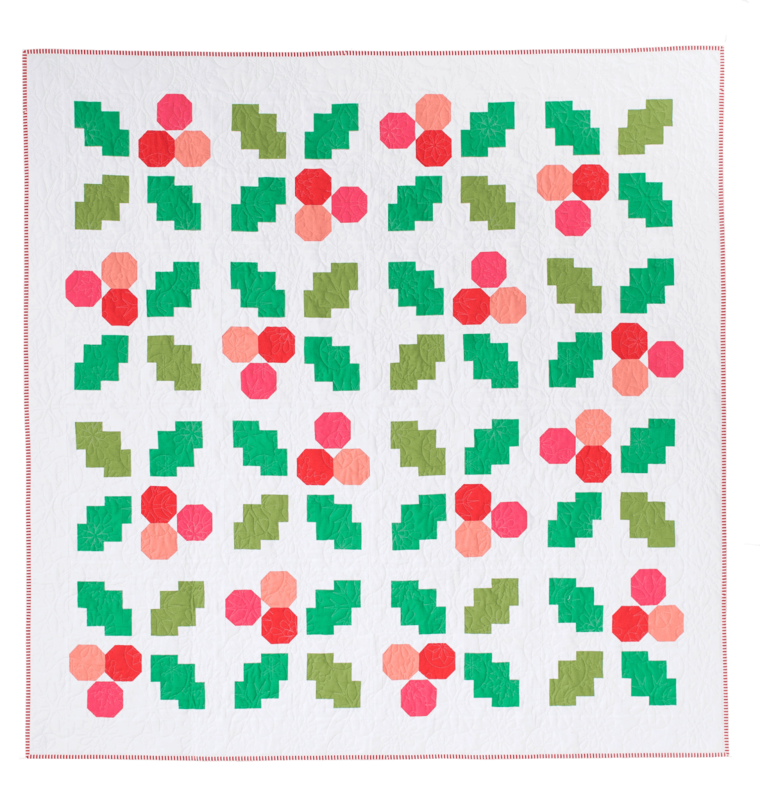 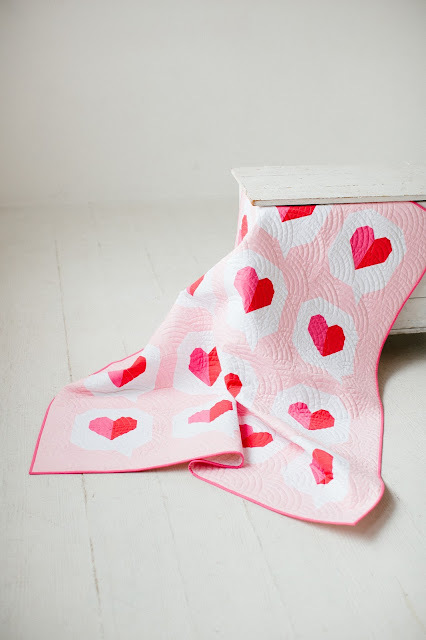 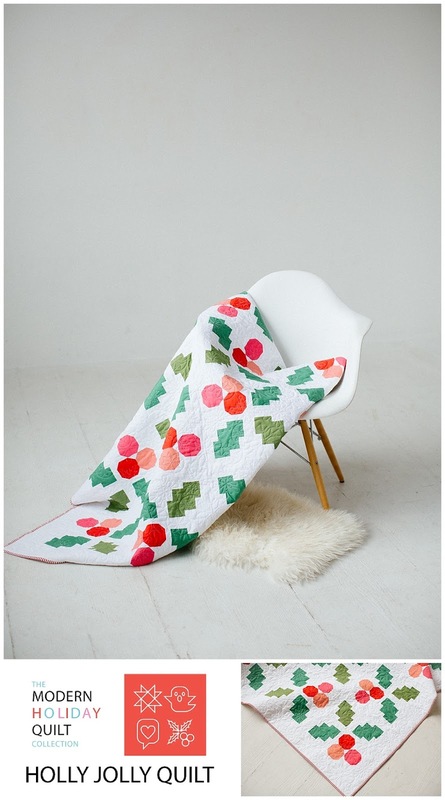 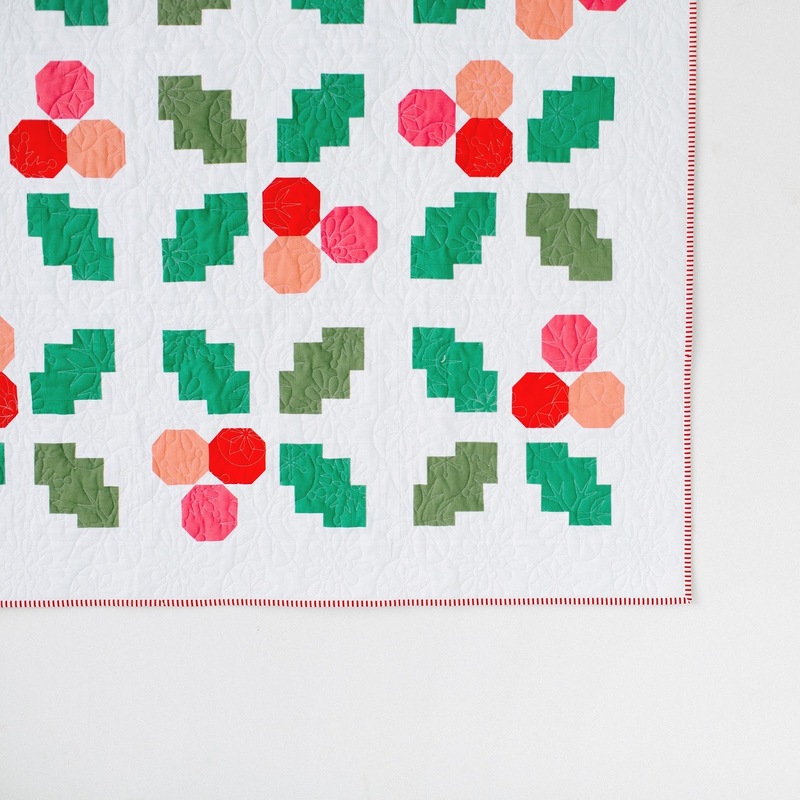 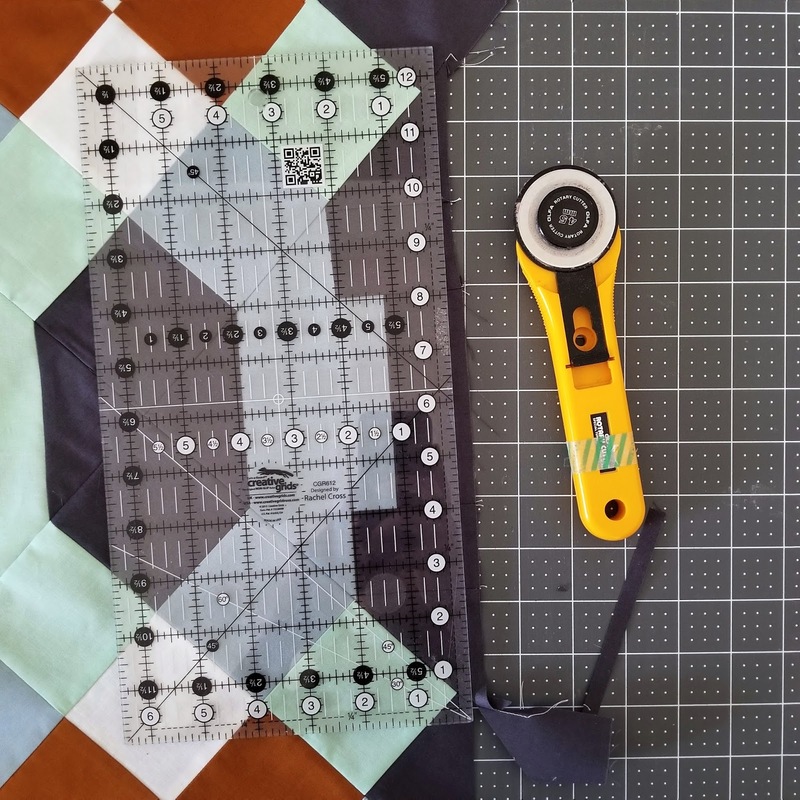 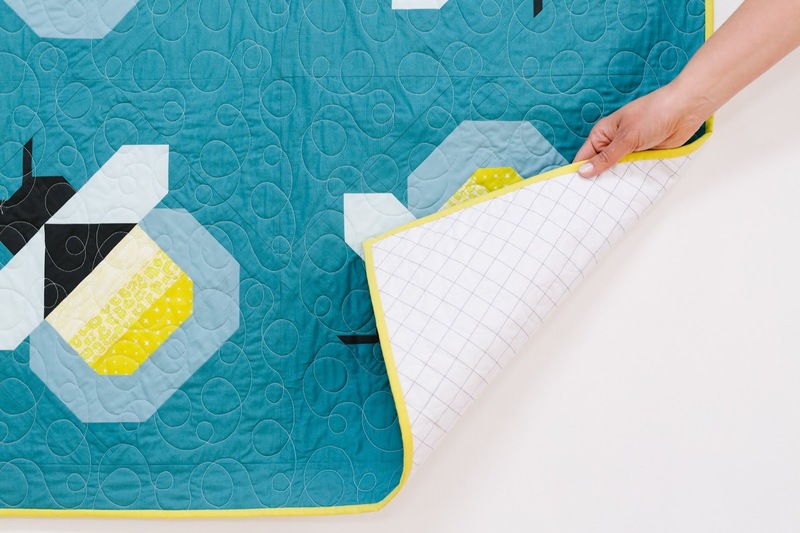 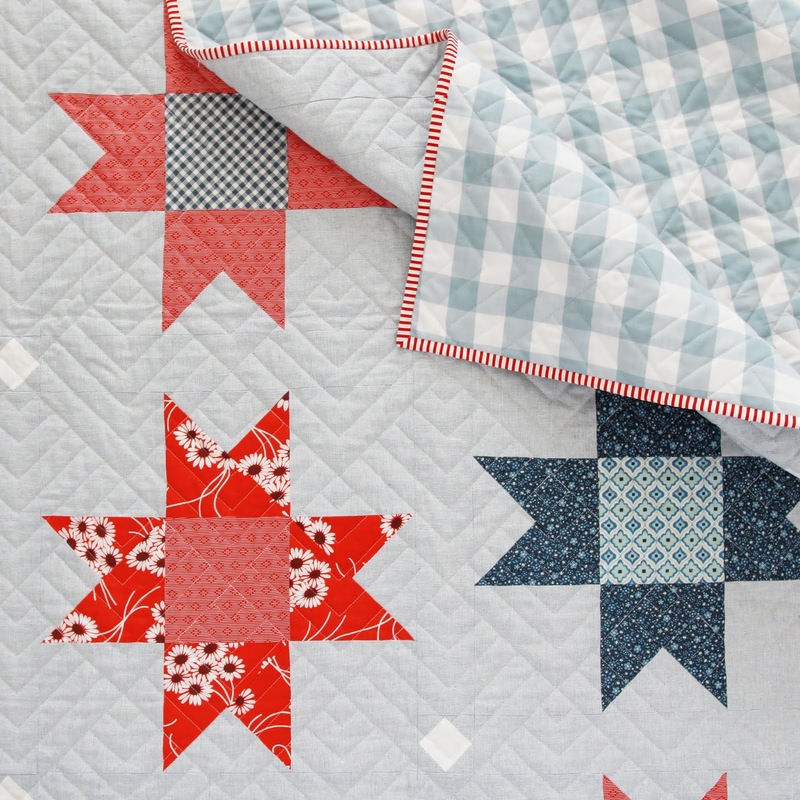 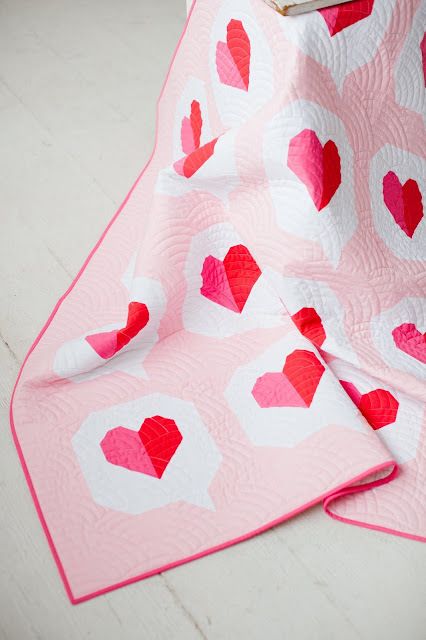 One lucky person will win free longarm services for their Holly Jolly quilt from Knot + Thread! To qualify, all you have to do is share your progress each week to Instagram tagging Then Came June and myself, Pen + Paper Patterns. 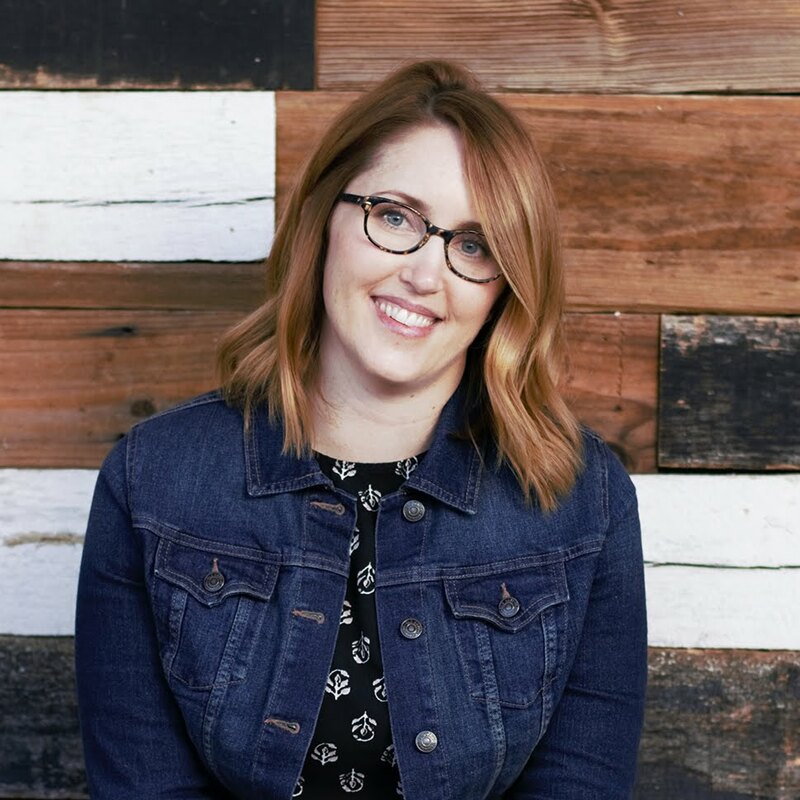 Include the hashtags #hollyjollysewalong, #hollyjollyquilt, #thencamejune, and #penandpaperpatterns in your post each week as well. 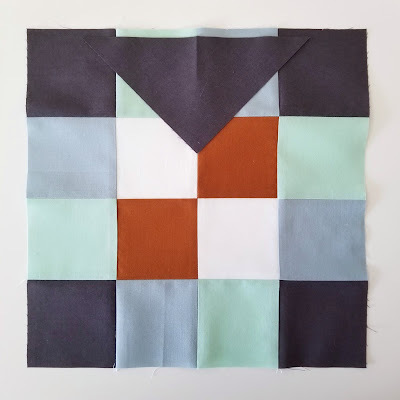 I also have a fun little giveaway planned at the beginning of this sewalong so make sure you're following me on Instagram so you're in the loop about it! 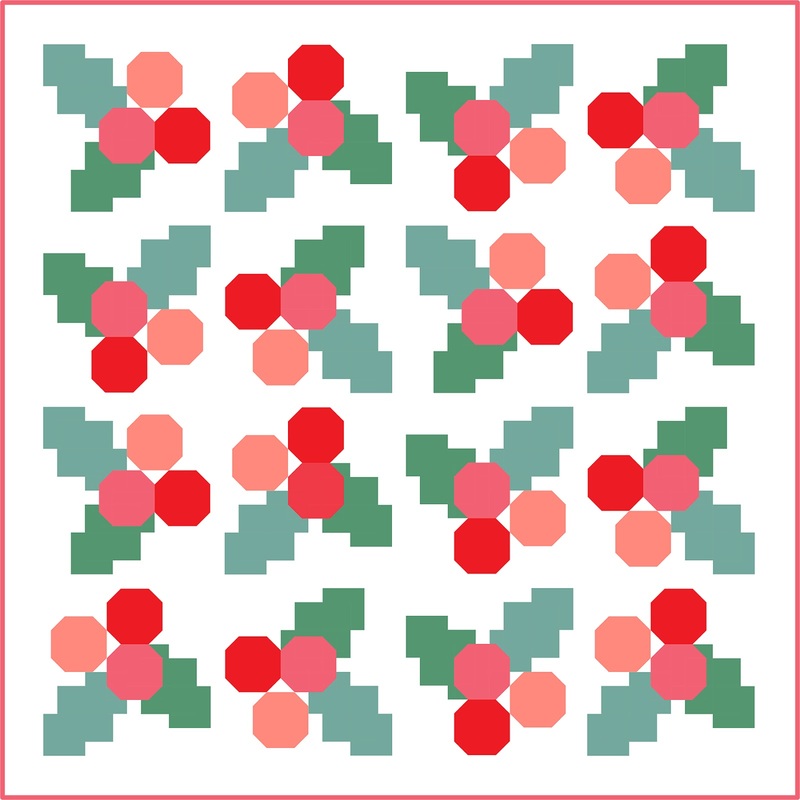 You can purchase the Holly Jolly quilt pattern HERE! 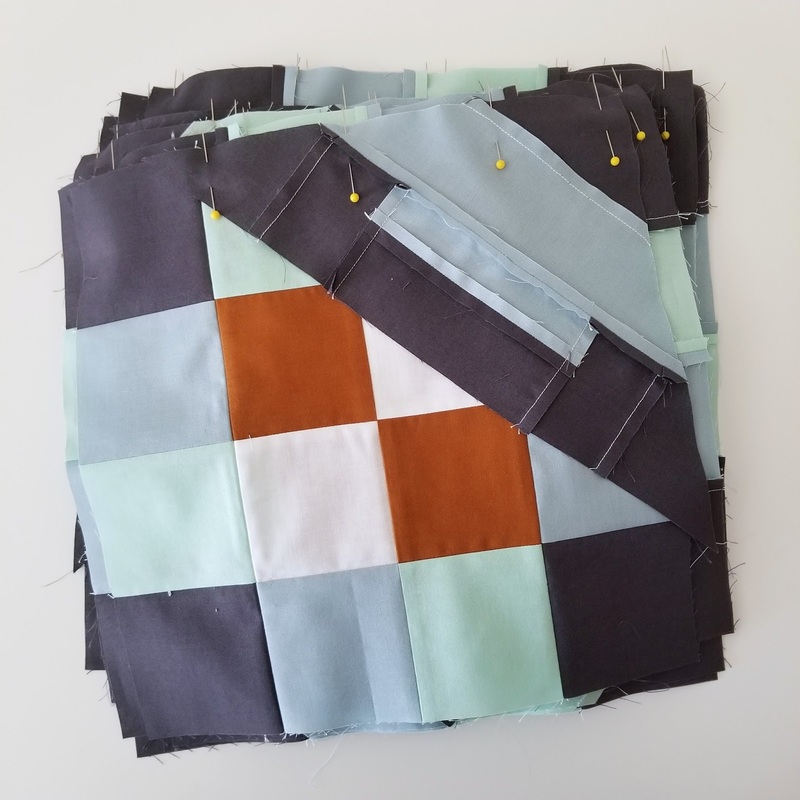 And the material requirements for the quilt are directly below!